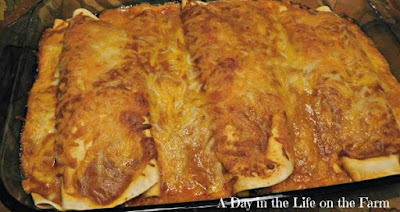 Flour tortillas filled with delicious vegetables, rolled and smothered in cheese. The perfect way to enjoy a Meatless Mexican Monday or for the final Friday's of Lent. 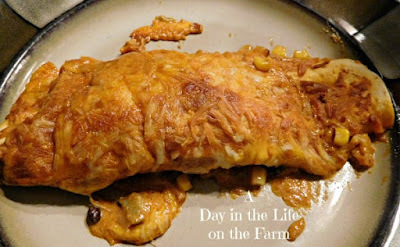 I almost didn't share this recipe today. I knew I would share it one day because it is absolutely too delicious to keep to myself, however I was a little concerned about the authenticity of this dish. You see, traditional enchiladas are made with corn tortillas and covered with a chili pepper sauce. These are not. 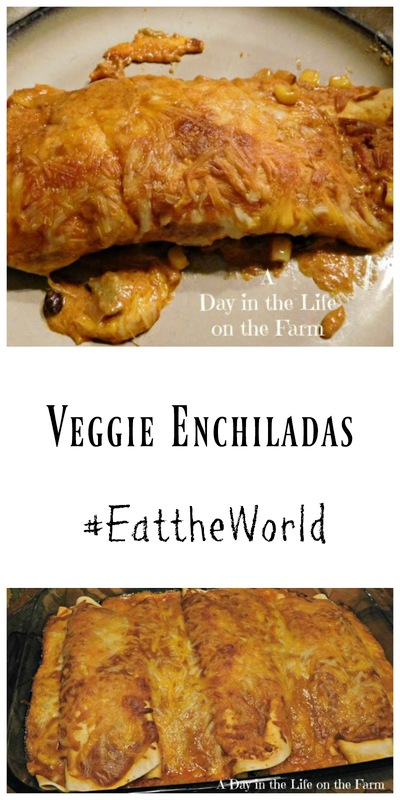 So when Evelyne of CulturEatz asked us to virtually travel to Mexico this month, I was ambivalent about this recipe. Then I read Buttermilk and Graffiti by Edward Lee. This memoir, written by Lee, shares his travels throughout the Country, visiting different restaurants owned and ran by immigrant Americans. A lot of the stories resonated with me and I really enjoyed the book. One of the things that Lee wrote, and I am paraphrasing in my own words, is that he has a serious problem, when speaking of food from other cultures, using words like "authentic". He reasons that the traditional foods, made here in this Country, are no less "authentic" than those made in the Country of origin. The same ingredients and cooking methods may not be used here as was used there but that makes it no less "authentic" when the recipes were adapted by a member of the culture that now lives in the USA. So with that in mind, I am very happy to share this recipe with you today. I hope you enjoy it as much as we did. Melt 1 Tablespoon of the butter in a large skillet over medium high heat. Add the zucchini and onions and cook until just tender, about 4-5 minutes. Mix in the corn, beans, chiles and cilantro. Season with salt and pepper. Remove from heat and set aside. Melt the remaining butter in a saucepan over medium high heat. Whisk in the chili powder, flour and cumin. Cook and stir for a minute then gradually add the milk, whisking continuously. Cook until sauce is smooth, thick and bubbly, whisking occasionally, about 5 minutes. Add 1 1/2 cups of the cheese, remove from heat and whisk until smooth. Spread 1/4 cup of the sauce in the bottom of a 9x13x2" baking pan that has been treated with cooking spray. Mix 3/4 cup of the sauce with the vegetable mixture. Divide the vegetable mixture between the tortillas, placing approximately 1/3 cup of filling in the center of each and rolling to enclose the filling. Place into the baking pan, seam side down. 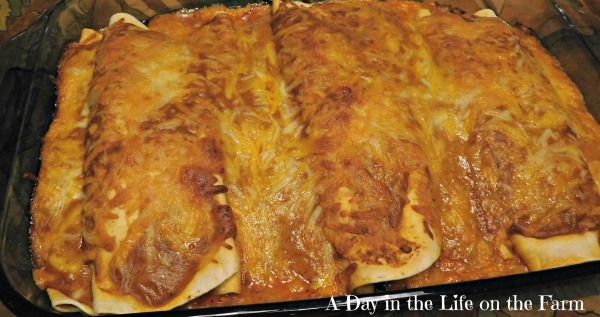 Pour the remaining sauce over the enchiladas and sprinkle with the remaining cheese. Bake in a preheated 350* oven for 30-45 minutes, until heated through, bubbly and browned. Adapted from a recipe found in Bon Appetit, September 1998, edition. These seem perfectly authentic to me...and delicious to boot. Glad you joined the party. Thanks Cam, they were delicious. Thanks, I think I have them now.